Box of 12 candy canes. 170g/6oz. 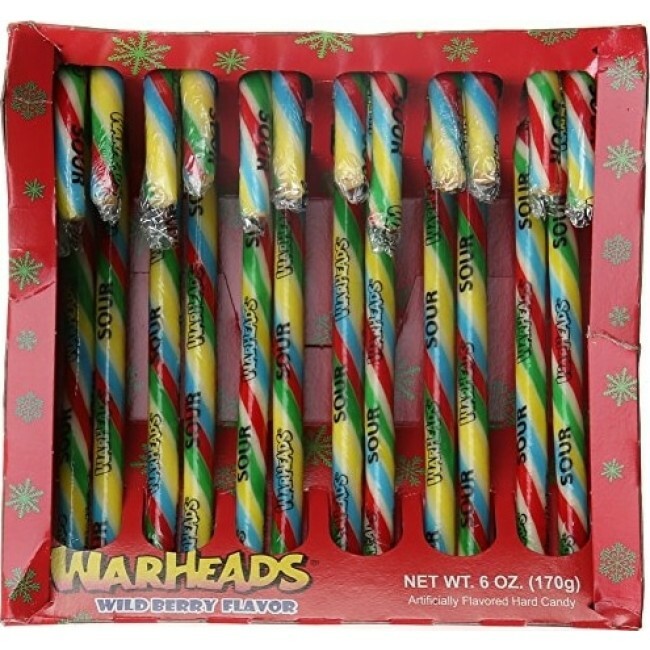 Warheads Super Sour Wild Berry Flavor Holiday Candy Canes will bring a pucker to any sour lovers face. They are convenient for stocking stuffers. You can also hang them on the tree as a sweet edible decoration or they can just be left in the box as an overall treat for the holidays. These Warhead candy canes come in a tasty wild berry flavor and are fat-free. Enjoy one anytime.